Hugs are just ducky ! 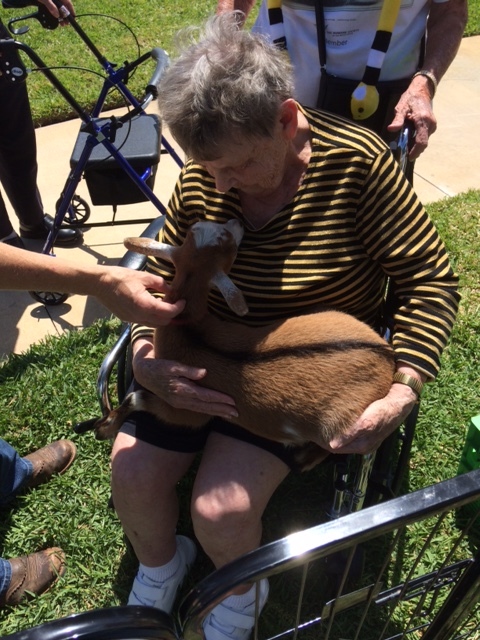 The residents at the ALF love having the animals visit. The critters anxiously await the arrival of the children. 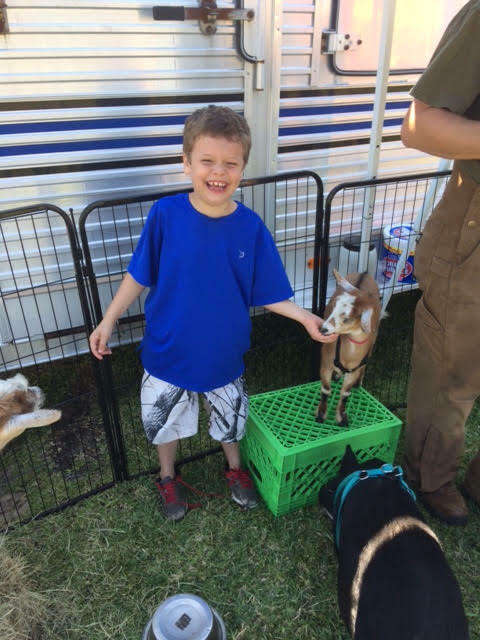 Educating the kids on how to properly hold the animals. 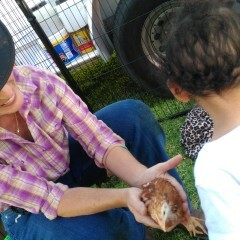 Adults and children listen to farmer Sheila explain raising chickens. Baby ducks are soooo cute !! 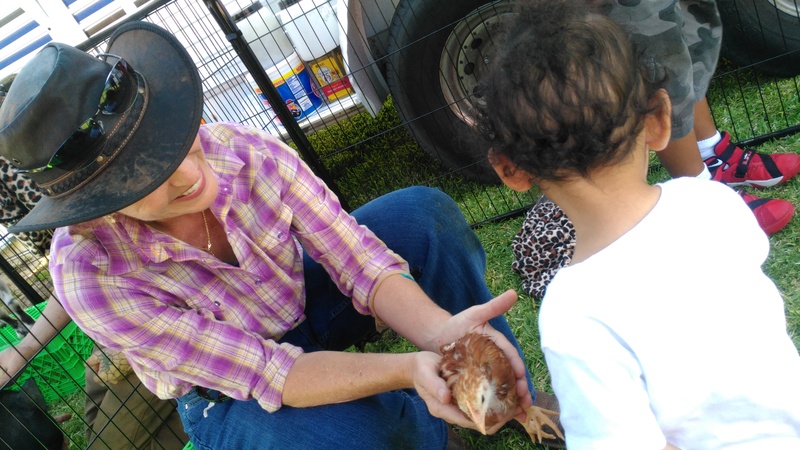 From animal encounter petting zoos, pony or horse rides, hay rides, balloon twisters, face painters, magicians, clowns, glitter tattoos to reptile shows. We offer fun family entertainment for your next event or party. Our family owned and operated business is also a working farm. 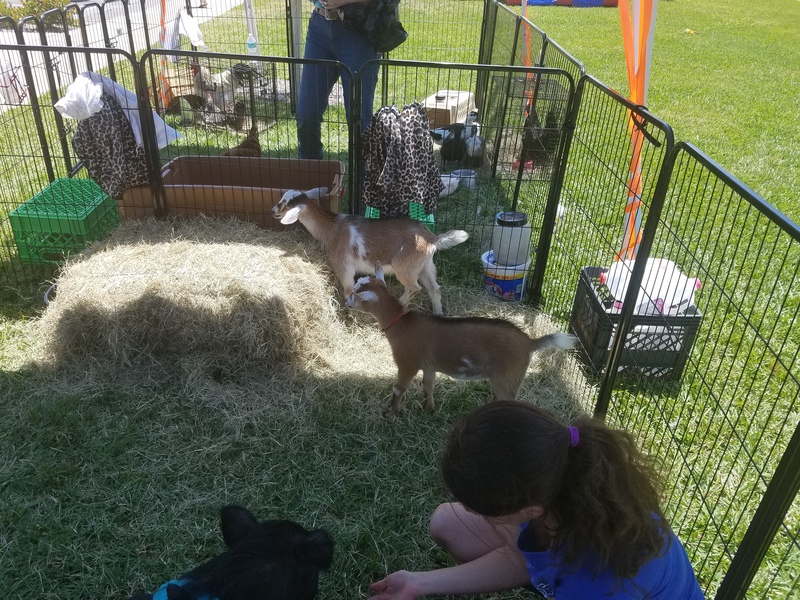 The ed "zoo" cational petting zoo utilizes critters that have been born and raised on our farm and we love to share them with you and your guests. We can set up at your next Birthday party, School, Day care, ALF, Wedding, Holiday event, Fundraiser, Grand Opening, Summer camp, Scout meeting, Church, Office party or any occasion. We would be honored to make your party special. It was our pleasure to participate in her special day. Wonderful school,teachers parents, and kids. We had a blast!! Great set up, and clean up as promised. The animals and zoo keepers were super sweet. Easy to talk to and friendly. Highly recommend using them! Thanks again so much! Thank you. We had a great time as well. We came to a decided on event amount and deposit amount. When we then asked for a certificate of insurance naming the venue as additionally insured (which is very common practice), they then came back and cancelled on us without any opportunity to discuss. 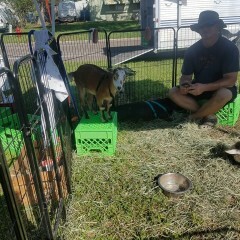 This was Easter weekend, we were providing a brunch that was open to the public with advertisting for a kids Petting Zoo. Left us in a very bad situation. We were very lucky that Safari Bob was available. They were great! I would highly recommend them. I would not recommend Hunny's Funny Farm. They either received a better offer than what they agreed to with us, or they do not have insurance. Either issue, I would not suggest taking the chance that they will not cancel on you should a better offer come along, of if you require you and your guests to be safe and covered by insurance. Safari Bob was able to provide insurance the same day we requested them to provide it. We had agreed upon a discounted price, deposit, shaded area and cash balance (she offered). When I sent her a contract with those terms she didn't sign it but instead changed the terms. Her new terms were... pay with a check, I set up my own shade tents and to additionally insure her on our insurance policy. This was Thursday afternoon before Good Friday and Easter. I then contacted her and explained my insurance company charges me to additionally insure people which was not factored into the agreed price and my insurance company was closed on Good Friday. When I told her I would have to cancel because I could not get the additionally insured certificate to her in time plus the fact she was changing the original terms she threatened to write a bad review on Gig Salad. I even had Gig Salad contact her in order to issue a refund for her deposit but she never replied back to them so I ended up sending her deposit back via snail mail. And, for the record, I spent Easter with my family. We'd highly recommend Hunny's Funny Farm. 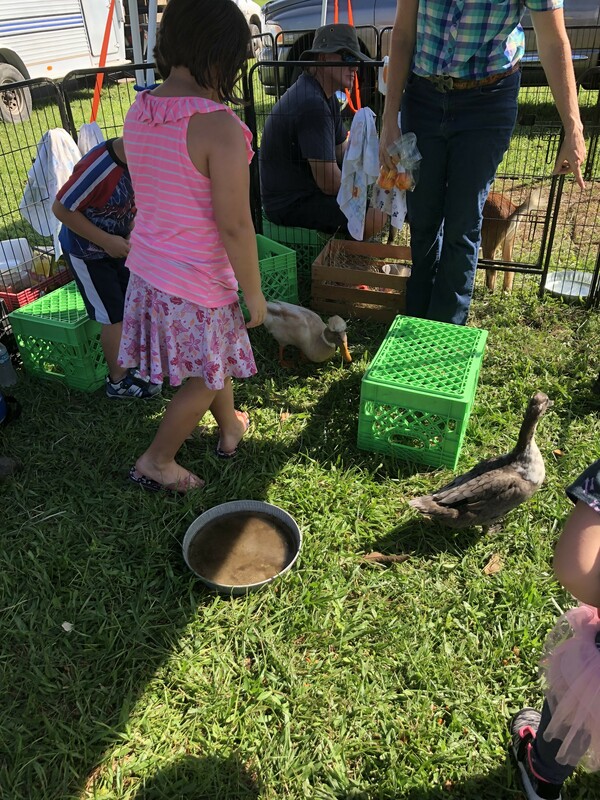 Both the kids and adults enjoyed meeting the animals and learned so much! Thank you for making the party so memorable for our guests! Thank you, Erika. We had as much fun, too. Great Job. Lots of fun. This was a wonderful event, bringing seasoned folks and young folks together. 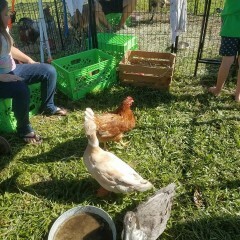 Some of the residents shared engaing tales of their days growing up on a farm. It's always rewarding to see a face light up when childhood memories are revisited. Our entertainer was absolutely lovely! Great writ the kids, patient and very fun!! 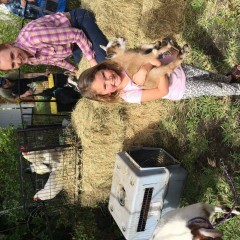 We had Hunny's Funny Farm at our preschool's spring fair. The staff was so warm and inviting. 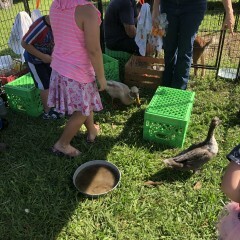 The kids loved that they were able to hold the animals. I would hire them again! Thank you, Carrie. We had a great time with a great bunch of kids. We love teaching about the animals. So, hopefully the kids take a few tidbits of information, too. Farmer Sheila and Farmer Timothy were amazing zoo keepers. 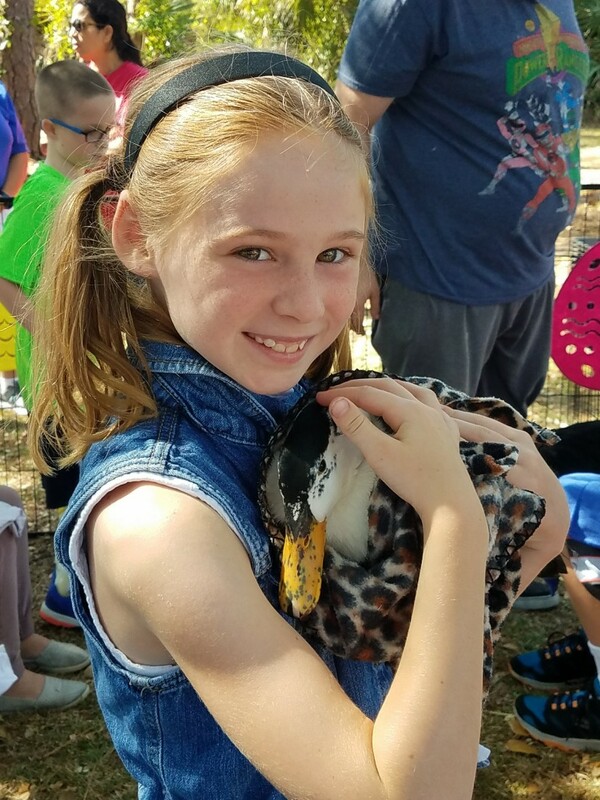 They taught our kids all about the animals and made our zoo experience fantastic. Very professional and fun for everyone. Can't wait to book again next year! Highly recommend. 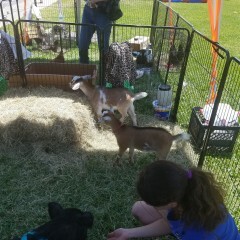 The animals are well taken care of and the staff were professional and great with the kids. You guys were the highlight of the party. 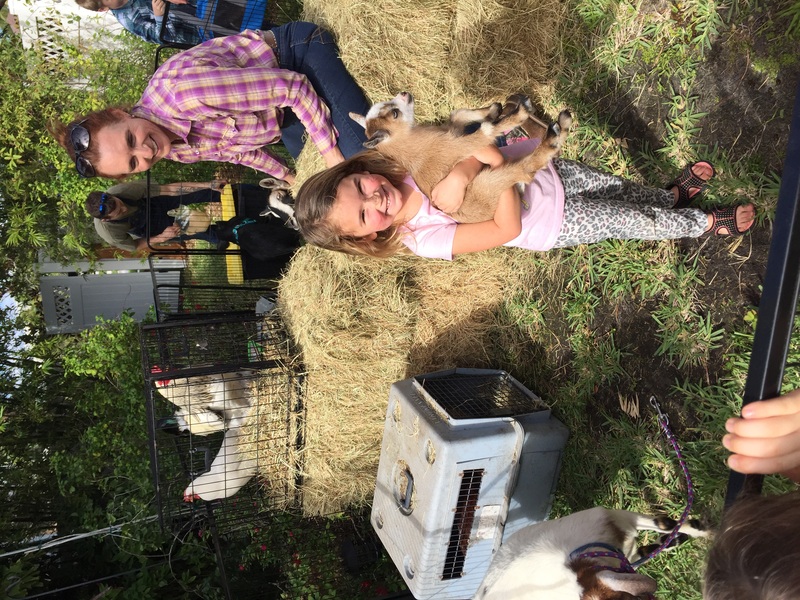 Insurance: $1,000,000 - Specifically for petting zoo and pony rides. 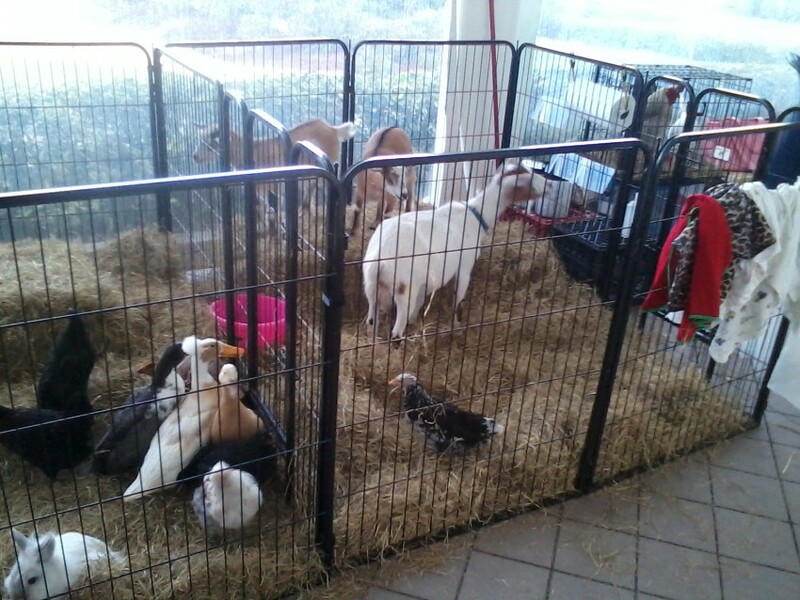 The petting zoo arrives 30- 40 min early to set up. 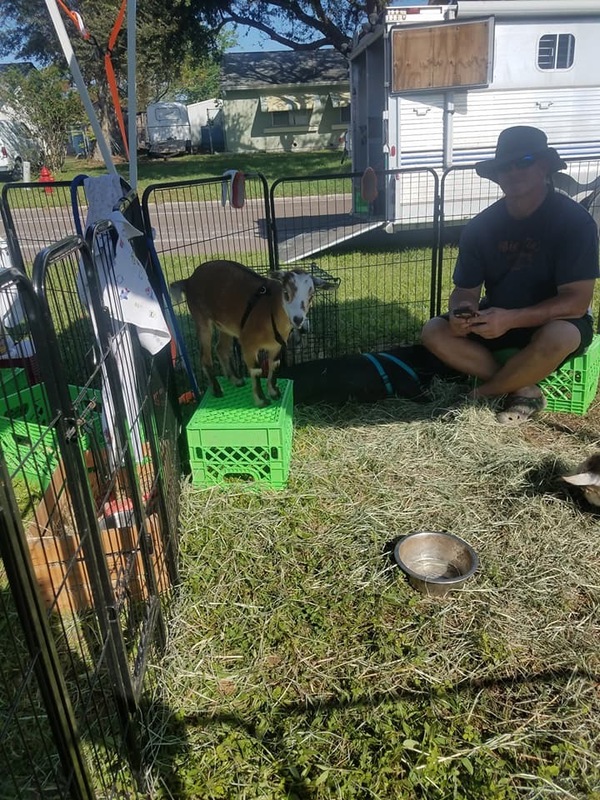 We provide 2-3 "zookeepers" to supervise and educate, 15-20 critters including any baby animals we have at the time, critter corrals, baby blankets for holding, feed/treats for animals, seating, shade is appreciated, but we can bring a gazebo if needed. We will also pick up any "gifts" the critters may leave behind leaving your area clean and tidy. 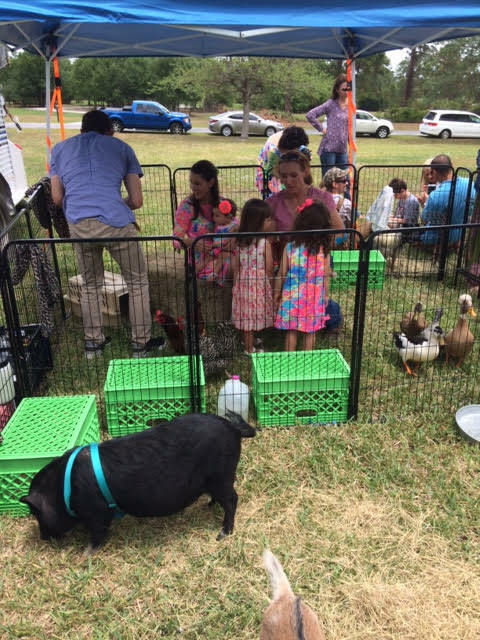 Providing ed"zoo"cational animal encoutners for birthday parties, day cares, nursing homes, churches, schools, resorts or venues of your choice. 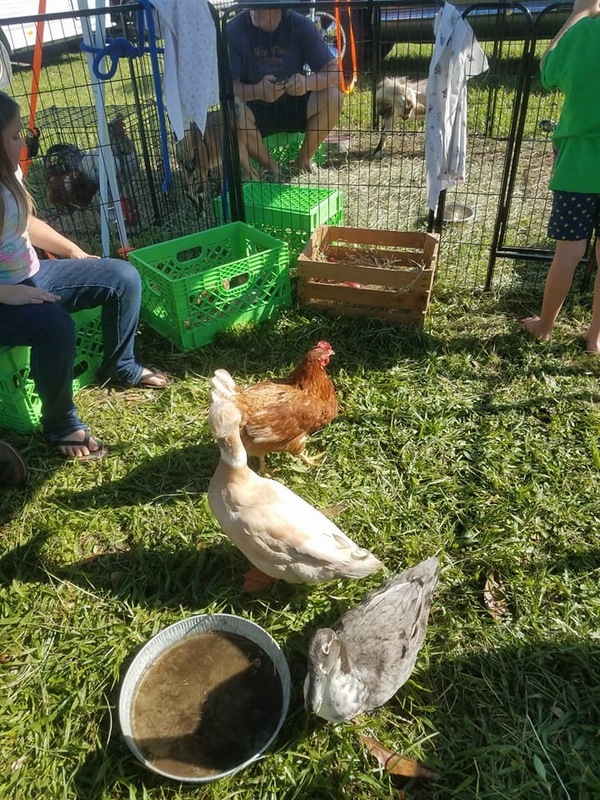 A family owned and operated local business which offers a variety of farm animals which give children of all ages a chance to pet, feed and learn about. And don't forget the Happy Holiday Hayrides are here !!! Add a hayride to your event to make it even more memorable for your guests... Fall festivals, Santa arrivals, community Christmas caroling, Spring Flings, 4th of July or just add a hayride as a trolley service from parking lot to event. Hayrides can be decorated to your specific needs. Contact us now for a free quote. Grassy, shaded area accessible for a truck and 25 ft trailer.